Earlier this morning, the Hanford Site—which is where the United States produced most of its plutonium for nuclear weapons, including the bomb dropped on Nagasaki—declared an emergency. Considering all the horrible stuff still contained within America’s most contaminated nuclear site, that did not sound good. But in a conversation with someone ordered to take cover, it turns out it might not be as bad as it sounds. The emergency was triggered after workers noticed a 20-foot section of tunnel, used to store contaminated and highly radioactive materials at the site, collapsed next to a building known as the Plutonium Uranium Extraction, or PUREX facility. A worker at the Hanford Site who asked us not to disclose their name explained that back in the 1980s, the PUREX facility was used to help dismantle nuclear fuel rods. The cladding would be removed, and the waste products would be left behind. Back then, there were even fewer regulations and plans for disposing of nuclear fuel than there are now, so once it was processed, the still highly-radioactive materials were stored in above-ground tunnels that were covered with earth, where they would be relatively safe, the Hanford Site worker told us. The last of the radioactive waste was put into the tunnels in 1989, using remotely operated trains, they added. But while the cleanup of the Hanford Site has continued for decades, the tunnels themselves have been allowed to decay, the worker said. It might seem like this sort of thing would be noticed immediately, the worker said, but the tunnel may have actually collapsed days or weeks ago, and since there was no radiation release, it was only noticed during a regular site walk-around. 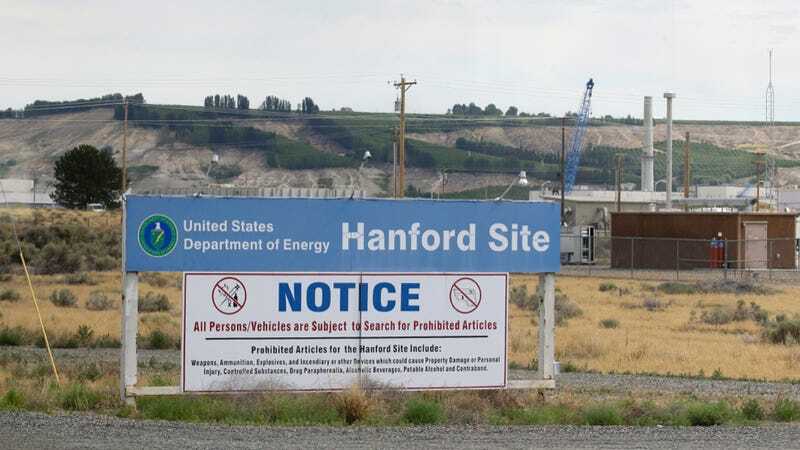 Extremely sensitive radiation detectors all over the Hanford Site would have noticed even in a minuscule increase in radiation immediately, the worker explained. And although workers were being sent home for the day, it didn’t sound like anyone was in any immediate danger.